Jurgen Klopp says Liverpool need to rediscover their 'mojo' after their hopes of progression to the Champions League knockout stages were dealt a totally unexpected blow in Belgrade. Red Star were thrashed 4-0 when they visited Anfield a fortnight ago, but stunned last season's finalists when they raced into a comfortable first-half lead courtesy of a Milan Pavkov double. Liverpool tried to mount a comeback after the break but struggled to carve out clear-cut chances, condemning them to one of the worst defeats of Klopp's three-year tenure. The Reds are unbeaten in the Premier League but have yet to truly hit top gear this season, and Klopp admits that they looked a shadow of their usual selves at the Rajko Mitic Stadium. "For us, it was not clicking, it was not easy," he reflected. "We never really came back into the situations. We had the moments. We played good balls in, in the right moment. "But, similar to the first half, in different situations, we had the ball in the box and we could not really finish or they got a leg in between. "I saw, unfortunately, a few games like this already and it’s really difficult to find your mojo back, that you can do the right thing in the right moment very naturally. "You always try to sort the problem you have on the pitch; you don’t find solutions, you sort problems on the pitch – and that’s a completely different situation." Liverpool had a chance to grab the lead early on when a deflected ball across the box fell to Daniel Sturridge, but the Englishman steered over from close range. It would prove to be the visitors' best opportunity. After the game, Klopp was left pondering just how different the night might have been if Sturridge had not fluffed his lines. "The start was pretty intense, that was clear," he said. Red Star wanted to strike back, which they did; they brought in a few new players, very important players for them obviously. "We had the first big chance – Daniel with a very big one. Each goal in a game like this leads the game in a specific direction." As it turned out, Liverpool soon found themselves with a mountain to climb. Red Star predictably settled into a rigid defensive formation, and were able to hold on for a famous win, roared on by a raucous home crowd. "We gave them too many set-pieces before they scored, so they could kind of train it in a proper match, and then they scored with a header after a corner. "The second goal was kind of out of the blue; we had the ball and gave it away. That’s not cool in a game like this, in an atmosphere like this, in situation like this, if you have to play your best football in a kind of negative mood. It was a blow, of course." "If – a big if – you score early in the second half the game can change, but it didn’t. So we have to admit, congratulations Red Star, well deserved. They have the three points, we have nothing." 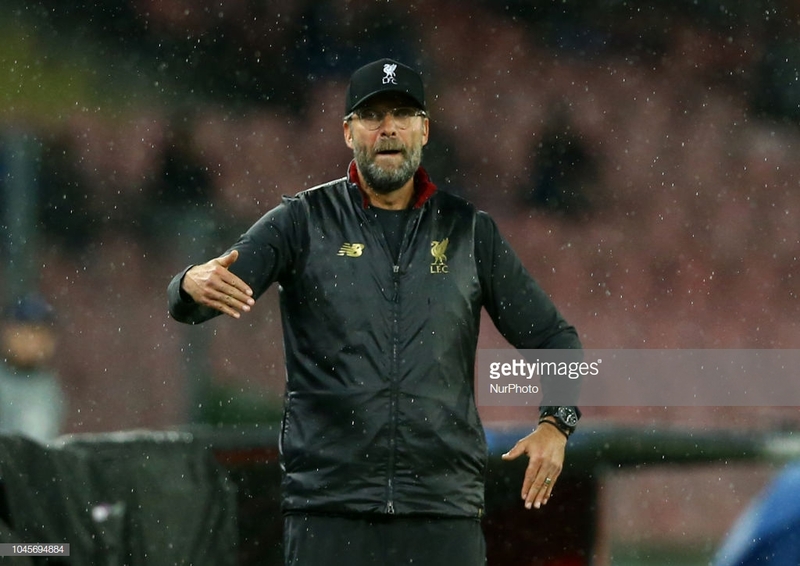 Klopp says the aggression and passion which characterised the Red Star display was to be expected, but felt his team failed to rise to the challenge. "We were not surprised [by their approach]. If you saw the first game, it was similar – it was wild, direct, stuff like that. "In Liverpool we controlled the game and tonight we didn’t. They were aggressive, very aggressive, in all parts – but they were aggressive in the last game as well, we only did better. "We made life a bit too easy tonight for Belgrade, that’s the main problem. "As I said, they deserved it with the passion they fought [with]. "In the end you have to score goals in a game and if you think about how often we were in the box and around, that’s what you have to do in a game but you have to make the last decision in the right way and we didn’t. That’s why we lost 2-0."